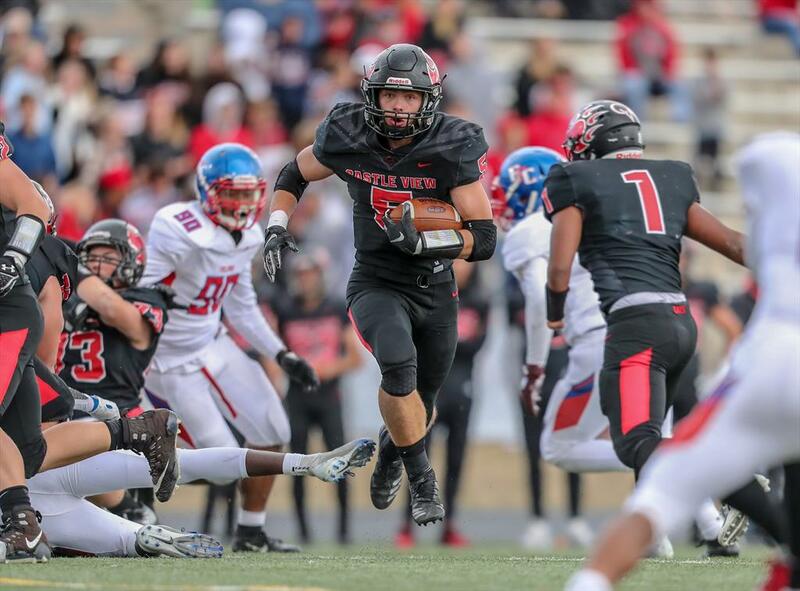 Cole Oster announced Wednesday via twitter that he has committed to sign a letter of intent in December to play football at Montana State University in Bozeman. The Bobcats defeated rival Montana in thrilling fashion in front of a crowd of 26,508 last Saturday. The victory marked the 3rd straight win over Montana and earned MSU a berth into the national Division-1 FCS playoffs. Oster helped lead the Sabercats to playoff success in 2018 as a leader on both sides of the ball. The 6’1, 208 LB Outside Linebacker and Running Back led the team in sacks and takeaways, was a top 3 tackler and led the team in rushing, total yards and scoring. NCAA rules prohibit college coaches from commenting publicly on recruits until official signing periods which will take place in December and again in February. Oster intends to sign on early “National Letter of Intent” (NLI) day on December 19th in Bozeman with his family. Oster was recruited by a number of colleges across the across the nation including; Wyoming, Colorado State, Montana, Drake, Augustana (SD), Nebraska-Kearney and CSU-Pueblo. Ultimately it came down to “coaches, program and area”, stated Oster. The Colorado native also stated, “I couldn’t be happier. From the moment I stepped onto the campus in Bozeman, I felt like I belonged there. Once I met the coaching staff and spent time around the team, I felt I was going to be a Bobcat”. Cole Oster is the 31st Castle View Football player to commit to playing college football and the 4th player in program history to receive a scholarship to play at the Division-1 level. Oster’s recruiting profile was assisted by his work in the classroom and contributions to the community. As a two-time Academic All-State honoree, the senior maintains a cumulative GPA of 3.7 and was recently inducted into the National Honor Society. Stacy, formerly a Director of Football Operations at a Division-1 university is helping by volunteering his time to the Castle View Football program. His efforts are helping to develop a well-defined process for coaches to connect to college football hopefuls at the school within the compliant framework of NCAA and NAIA regulations. Oster closed the conversation with an enthusiastic, “GO CATS”!